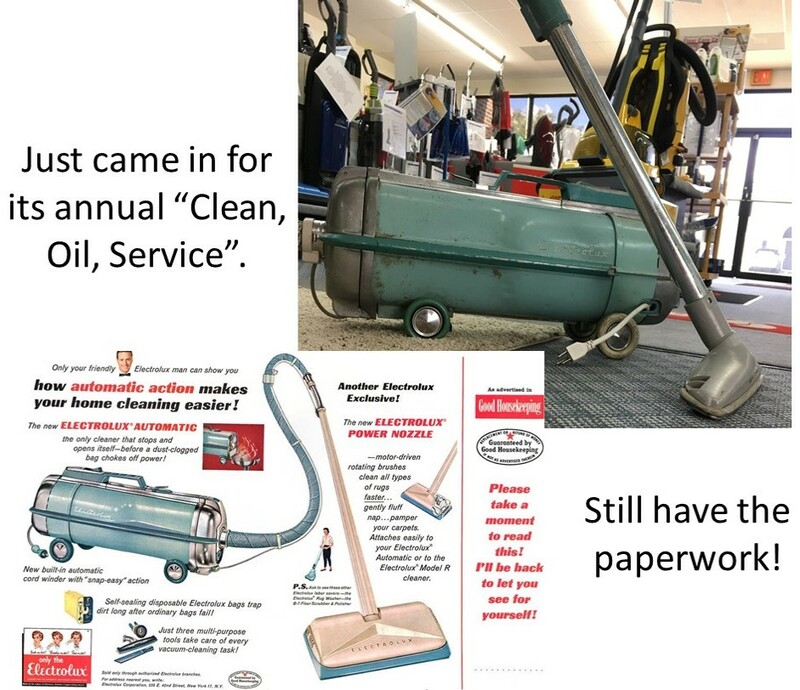 Take a look at the vintage vacuum cleaner. We always get a kick out of seeing museum piece machines like this come in for service. Believe it or not, it still works prety well!